Cristhian Stuani is a target for Barcelona in the winter transfer window. Spanish source report that Barcelona are linked with surprise move for Girona striker Cristhian Stuani. The Uruguay international was signed by Girona in July 2017 from Middlesbrough for a fee of 2.5 million euros. The 32-year-old has a contract until 2020 with the club. In total, Stuani has scored 33 goals from 50 Girona matches. The 32-year-old is considered to be one of the best strikers in Uruguay. As a member of Uruguay national football team, Stuani won 46 caps and he scored 5 goals. His impressive performances this season have apparently caught the eye of some of Europe’s big clubs. The report claims that Barcelona manager has extensively scouted Cristhian Stuani and is considering a move for the striker. 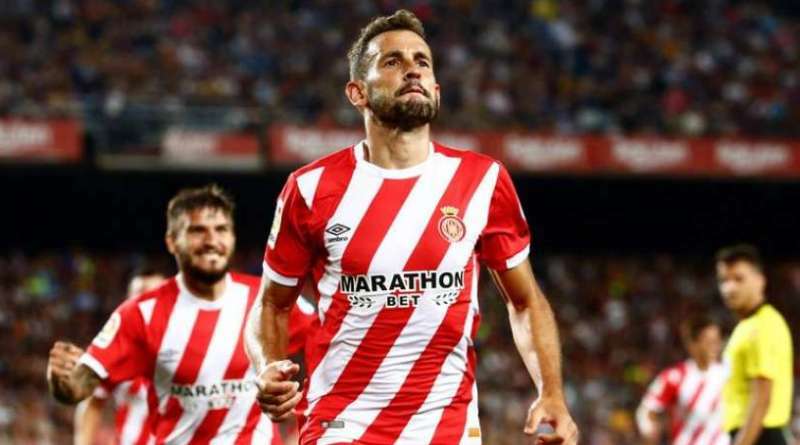 Ernesto Valverde is a long term admirer of Cristhian Stuani and believes he can get the most out of the Uruguay international. Stylistically, he would be a great fit in Barcelona. It will be interesting to see whether Barcelona will make their move during the winter transfer window.